A warm welcome to Kevin who is visiting the group with a fellowship from the Alexander von Humboldt Foundation. 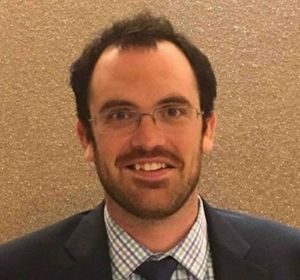 He previously held a postdoctoral fellowship in the Materials Science and Engineering Division at the National Institute of Standards and Technology (NIST) in Gaithersburg, Maryland and in August he will be starting a tenure-track position in the Department of Chemical and Materials Engineering at the University of Dayton. Kevin’s research interests include using MD simulations to study the structural and interfacial behaviour of nano- and bio-materials. He will be spending his time at HITS/ MBM using multi-scale approaches to examine bond scission in bio-polymers under tension.